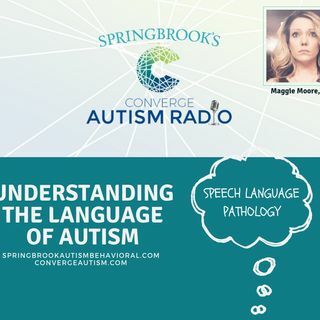 Maggie Moore has been a Speech Language Pathologist since 2007. After graduating from Michigan State University with a bachelor of arts degree in Audiology and Speech Science, she attended the University of South Carolina where she obtained her Master of Speech Pathology (MSP) degree with a specialization in neurogenic speech, language, and swallowing disorders. Maggie was accepted to the neuroscience specialization track and completed an optional thesis entitled "Visual Speech Perception ... See More in Acquired Apraxia of Speech." Her passion for speech pathology, hard work ethic, and diligence allowed her to maintain one of the highest GPAs in her class while working full time. Maggie's ability to connect with all types of people and easily adapt to any environment has allowed her to work in a variety of settings with people of all ages and diagnoses across the country. Her specific area of interest is the brain and the neurological processes involved in communication. She has held full time staff, supervisory, and director positions in a variety of settings throughout her career. Maggie has extensive experience working with severely neurologically impaired or atypical including diagnoses of traumatic brain injury, stroke, and Autism Spectrum Disorder. In 2017, Maggie began working at a Psychiatric Residential Treatment Facility with in-house special education programming to further specialize in the diagnosis and treatment of Autism Spectrum Disorders in children with severe and complex needs. Additionally, she established a private practice to continue to serve the demand for her outpatient and in home services.